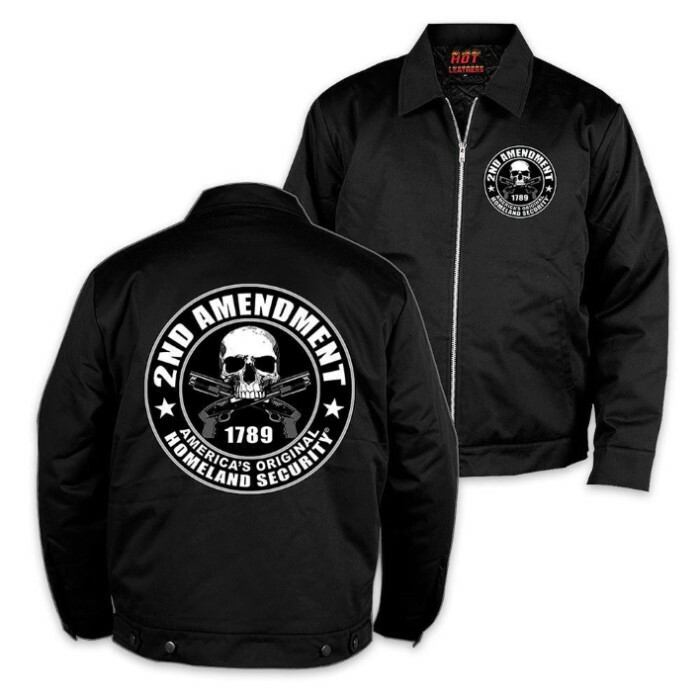 Second Amendment Mechanic Jacket Black | BUDK.com - Knives & Swords At The Lowest Prices! Warning! Biker at Work! Ideal for wear while riding or taking care of your personal source of freedom, this Second Amendment Mechanic's Jacket is lightweight but warm. The 65/35 poly-cotton blend is comfortable and features eye-catching second amendment artwork to express your point of view.